While looking at the link on another new thread about some blueline prints of the Robie house for sale on ebay, my eye was caught by another artifact on the same ebay page. It is an FLW signed letter and a post card to Manuel Sandoval (pertaining to his work at the VC Morris gift shop). But anyway, here's a link to an article that concerns Sandoval. 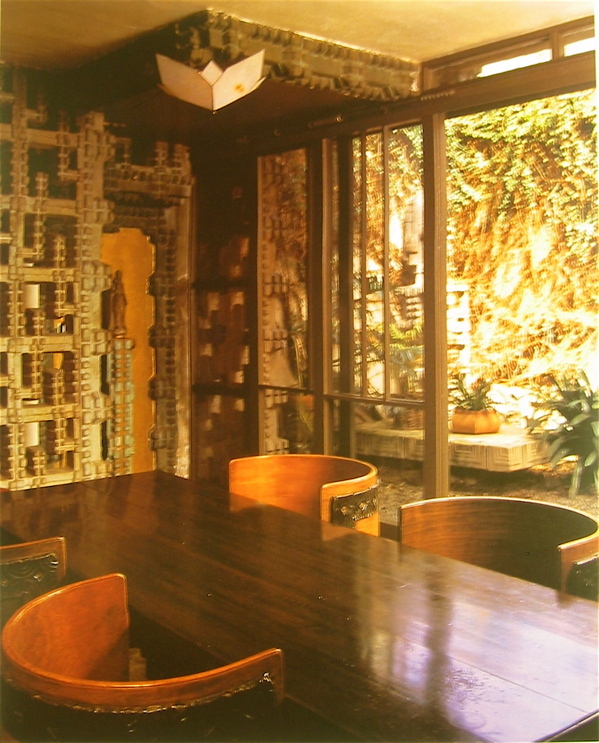 Of note, he is credited with doing the woodwork in the wonderful office Wright designed for Edgar Kaufmann. And, dig Lloyd's stationery. 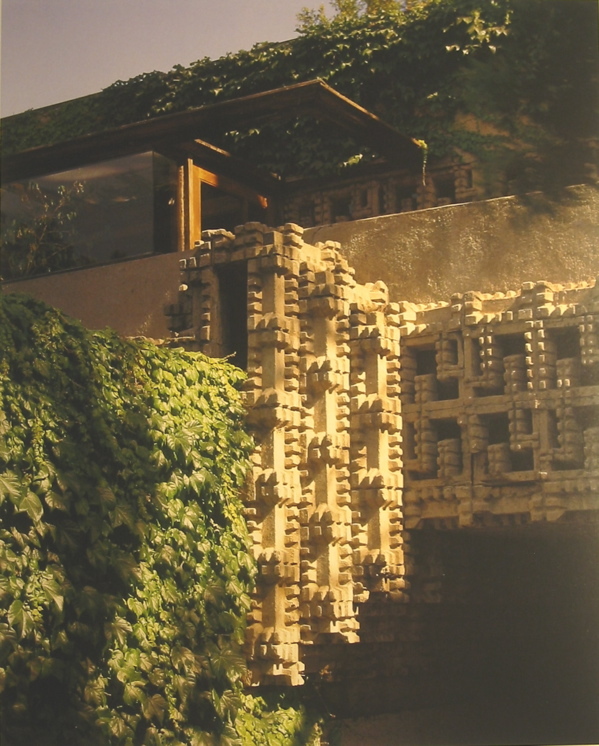 Lloyd's cactus motif would seem to derive from his own home and studio in West Hollywood (or call it what you will) (1 2). Wonderful; I hadn't found the cactus in Lloyd's decoration . . .
For those interested in designer Alvin Lustig, there's an issue of the OA+D Journal devoted to the man . . .